Repti Economy Clamp Lamp | Zoo Med Laboratories, Inc. 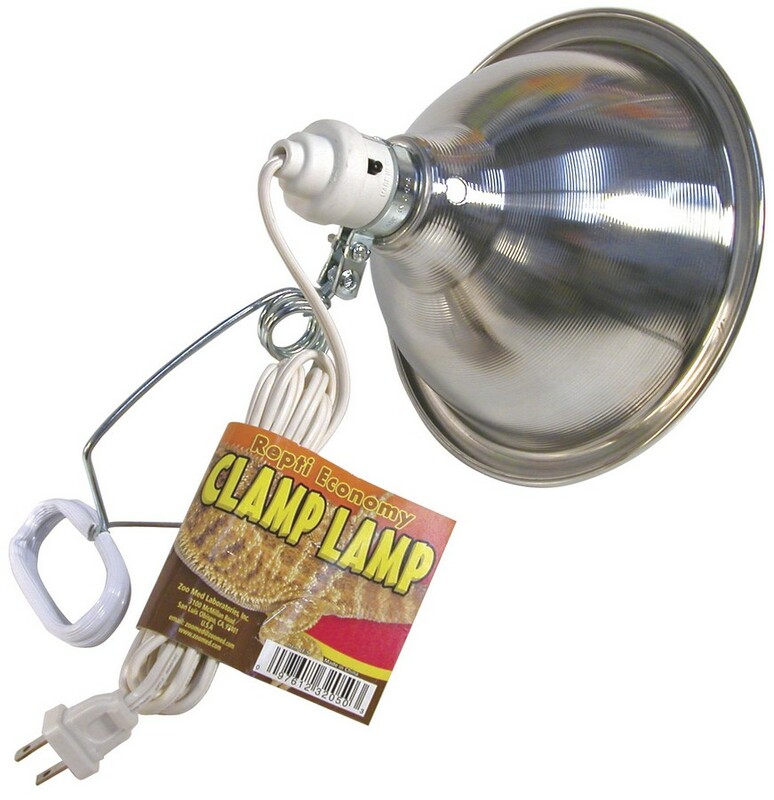 This inexpensive lamp fixture has an 8 1/2″ (22cm) aluminum reflector and six foot power cord. It is great for use with Zoo Med’s Daylight Blue™ and Nightlight Red™ incandescent bulbs up to 100 watts. Not for use with Ceramic Heat Emitters, PowerSun® UV lamps, or any incandescent lamp exceeding 100 watts.